My love for painting and drawing spans the majority of my life and includes many years of experimenting with the major mediums, materials and techniques. During these times I have appreciated many artists’ work and talents, particularly the early impressionists. Over the last decade and a half I have developed a love for pastels and now create most of my works using this medium. With such improvements in the quality and variety of pastels, you can’t help but love the varieties of colours produced, including soft, medium and hard pastels. The variety of papers and boards also drives me to continually use such medium. My work has been featured in the Australian Artist magazine and the International Artist magazine. I am currently tutoring at Templestowe Arts Centre and Whitehorse Artist Society. My demos, workshops and judging have taken me to many Art Societies and Rotary shows throughout Victoria. 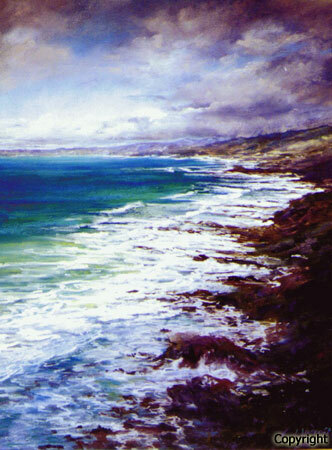 I have won numerous awards, some of these are: Best Pastel at Camberwell Herald Sun Rotary; Best Paintings in Shows – Mornington, Sorrento, Mount View and many others; Winner – Eckersley Award, Toorak College, Royal Melbourne Show, Box Hill, Parade, Bayswater, Altona, Roberts McCubbin plus many other Highly Commended and Commended Awards. The love of painting keeps the mind and soul in tune a lot more than we realise, especially in times of overcoming some of life’s difficulties. There is so much in art to experience, embrace and enjoy.